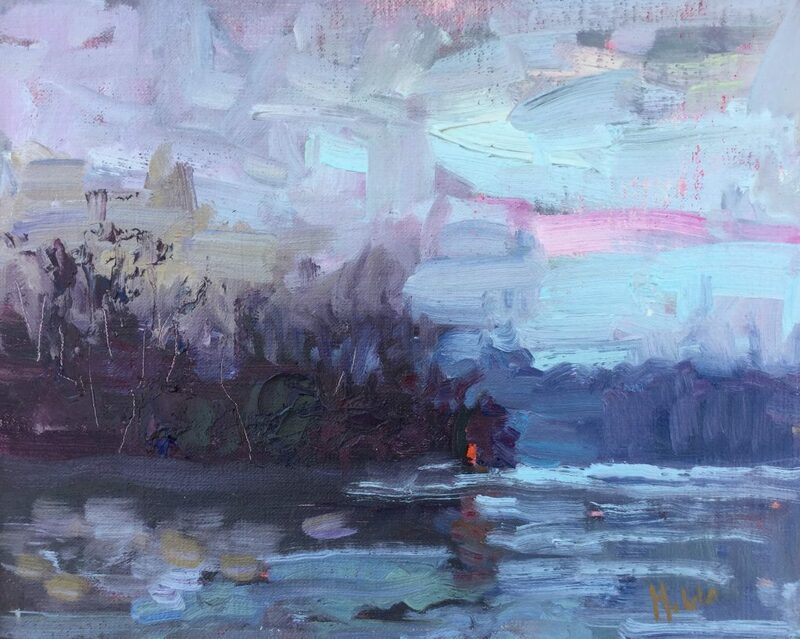 As we motored around to find a fishing spot the winter chill and waning light enveloped everything. We anchored in a quiet cove and I set my paint box on my lap. I focused on the cool/warm relationships of the scene as the red signal light appeared brighter and brighter in the settling dusk.